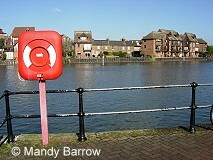 Connections between the Thames and royalty go back hundreds of years, but nowhere are they more obvious than in Windsor. 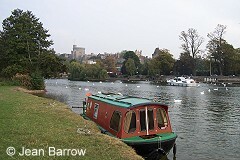 A small town on a bend in the river, Windsor is dominated by its castle. 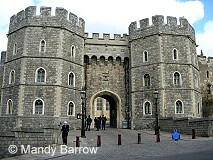 It is one of the finest medieval castles in England and is the largest and oldest occupied castle in the world. 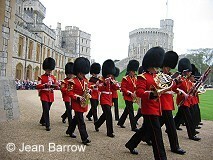 Windsor Castle has been a royal residence for over 900 years and today is one of the homes of Queen Elizabeth ll. 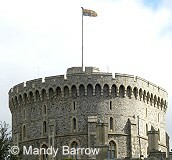 The royal standard flies from the round tower of the Castle when the Queen is in residence. to the largest inhabited castle in the world today . 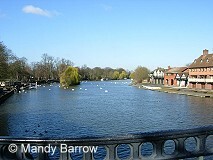 Windsor Castle has dominated the river for over 900 years. 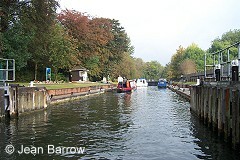 It was built by the Normans from timber and later rebuilt in stone. 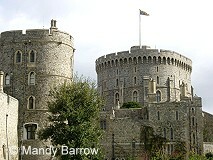 The outer walls and Round Tower were added under Henry II. 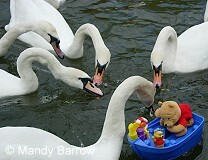 Many swans live on the river at Windsor. 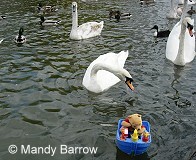 Each summer there is a process known as Swan Upping which checks the identity and health of each of the swans, and adds tags to new cygnets (baby swans). 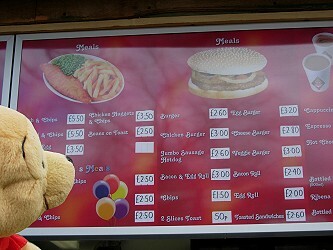 Pooh felt hungry and decided to buy a burger. 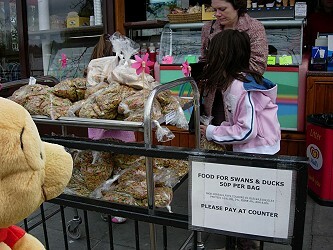 Pooh also bought some food for the swans. 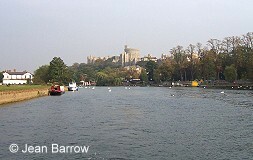 Windsor Castle in the distance. 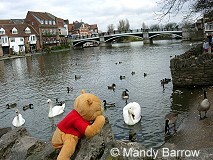 After leaving Windsor Pooh went through Windsor lock.